The Fellowship was fortunate enough to obtain a copy of GROO: FRIENDS AND FOES #1 from Dark Horse Comics. The story is written by Mark Evanier, illustrated by Sergio Aragones, and colored by Tom Luth. It is so great to see the bumbling barbarian back and better than ever! As always, Mark Evanier provides an extremely humorous story embellished by the great artwork of Sergio Aragones. These are books that anyone of any age can pick up and enjoy. If you never read a Groo tale, don’t worry about not being familiar with the characters - just expect to laugh. A lot. 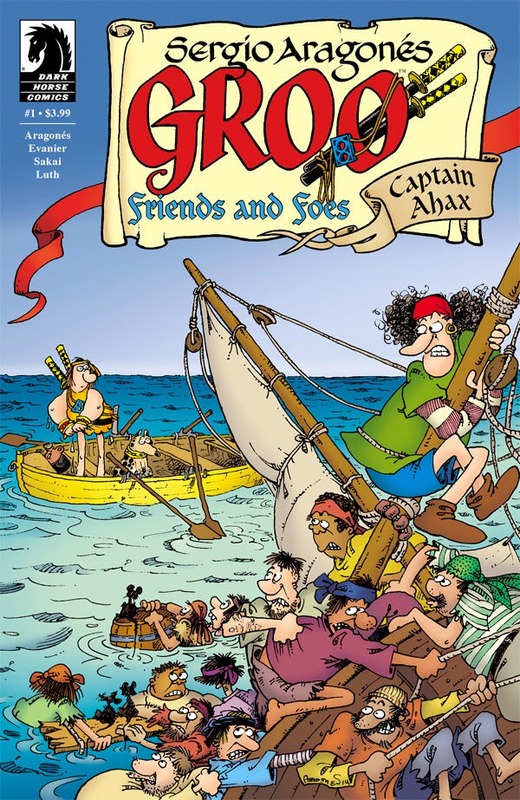 GROO: FRIENDS AND FOES #1 is in stores now, or available for ordering at www.darkhorse.com.